At Rios & Rios, LLP, we are committed to helping families throughout Orange County find meaningful solutions in family law. Our firm's Orange County divorce lawyers offer over 40 years of combined experience assisting clients with a variety of family law services. When both sides would like a reasonable solution, we seek to negotiate a favorable settlement on behalf of our clients. Handling matters out-of-court allows us to maintain greater control over the results and cater to our clients' unique objectives. However, when settlement is not a viable option we are trained and prepared to litigate the tough issues. At Rios & Rios, LLP, we are always well prepared for trial, having analyzed the complex issues early and bringing in experts when necessary. We will assist you in what can be a daunting process, not only in maneuvering through it but in explaining the process along the way with regular and thorough interaction. We strive to ensure our clients are kept up to date and that phone calls and other forms of communication are responded to in a prompt and timely manner. Attorneys Ronald R. Rios and Christi D. Rios are family law specialists, certified by the California Board of Legal Specialization. Through litigating at a highly professional and ethical level, both partners have earned the respect of judges and lawyers in the community. 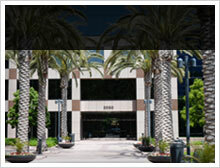 Each partner of Rios & Rios, LLP, is extremely familiar with the Orange County court system and understands what it takes to reach your goals. Contact our law firm today to schedule a consultation with one of our Certified Family Law Specialist. Congratulations to both Ronald Rios and Christi Rios being named Super Lawyers in the field of Family Law. http://www.superlawyers.com/ A distinction that confirms what others in the industry know: both are hardworking, prepared, and knowledgeable family law lawyers who work extremely hard for their clients' objectives. 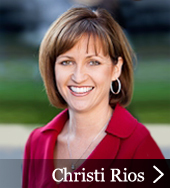 Rios and Rios is by far the most ethical and compassionate Family / Divorce law firms I could find. 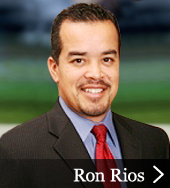 Ron Rios did an excellent job representing me in one of the most stressful times of my life. He was strategic yet conservative. He did not take advantage of the situation by over-billing and dragging my case on as most attorneys do. Ron consistently tried to work toward a quick resolution. After a failed attempt at mediation and a first attorney who was overwhelmed by the deep pockets, bulldog approach of my ex husband's large firm attorney, I asked an attorney family friend for referrals. He unequivocally referred me to Christi Rios at Rios & Rios. I am so grateful he did! Christi Rios immediately reeled in the proceeding . . .
Ron was a excellent attorney. My best review is that I have recommended him to two other individuals and both retained him and both were extremely satisfied with his performance. He was open and honest about the process and very open to hearing my concerns. He was very wise with his advice and determined to get me the best results possible, and he did.